Aloha and Welcome to the Zen Tiki Lounge. Join Sunshine and Pumpkin on this episode of the podcast. By request we are sipping a blended drink called the Headhunter. You can find the recipe in the Total Tiki app as pictured below and created by Beachbum Berry. When we aren't creating our own drink recipes we rely on experts like the bum who has carefully researched hundreds of vintage tiki recipes from the 30's to today. With blendy drink in hand Pumpkin was ready to play Golden Girls Mad Libs and engage in a long edition of listener mail. A special treat for long time listeners is a trip to Pumpkins box for the mail portion. We hadn't climbed into the "mail box" in a few years. Also on this episode: a taste of Mulata de Cuba, new bar set up tips, barware suggestions for the beginner, a short list of easy to find rums that everyone should have, update on our 400th episode celebration coming 9/29/2018 in Palm Springs and lots more. 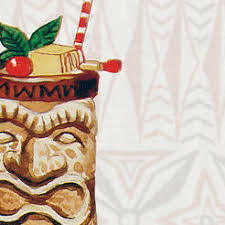 As mentioned on this episode, we recommend you check out the Total Tiki app by Beachbum Berry. Well over 200 tiki drink recipes that are well researched and all in one place just for your mixing pleasure. Each recipe includes ingredient links and resources so you always know everything you need to fix a proper drink. And, if in New Orleans don't forget to visit the bums bar Latitude 29. 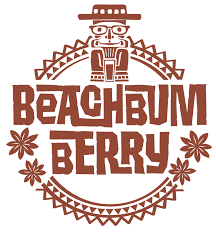 If you buy just one drink app, this is the one for all your tiki needs and Beachbum Berry is the guru of tiki mixology. Announcing our 400th podcast episode celebration! Join us 9/29/18 at the Reef Palm Springs for a four hour tour down memory lane with all four hosts of the Zen Tiki Lounge. The Reef Bar will be serving some of our signature drinks developed over the past 12 years. Plus ample classic exoctica to se the mood and tasty bar food to keep you balanced. We will play Whats In Kalani's Bra which always includes "prizes" for those lucky soles who guess the most correct items in Kalani's over the should boulder holder. Oh, and did we mention this is at the Caliente Tropics hotel, where Frank and Dean among others used to play in the basement in the heyday of Hollywood and Palm Springs glory. This event is open to the public and all we ask is that you buy food and drinks while enjoying yourselves.